Depression During Pregnancy: What Is It? Does depression affect your pregnancy and the baby? What To Do If You Are Diagnosed With Depression During Pregnancy? What Are The Natural Remedies For Treating Depression During Pregnancy? Can You Take Herbal Remedies For Depression? 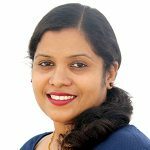 What Are The Complications Of Untreated Depression During Pregnancy? 14 to 23% of pregnant women experience depression at some point in their pregnancy, according to the American Psychiatric Association (APA) and the American College of Obstetricians and Gynecologists (ACOG) (1). The surge of hormones causes your emotions to rise and fall. You may tend to cry and laugh at the drop of a hat, thanks to your stressed reproductive system that is busy prepping the womb. But if you find yourself blue all the time, it is possible that you might be depressed. Depression during pregnancy is a reality, but it can be tackled. MomJunction tells you about depression during pregnancy, how it can affect you and how you can deal with it. Depression during pregnancy or antepartum depression is a mood disorder that affects the way you think, feel and act. It causes a feeling of sadness, hopelessness, and worthlessness that can last long and interfere with your everyday routine. These feelings could range from mild to severe, and may eventually wane over time with treatment. While some pregnant women get better within a year, others tend to feel better only after the delivery. So, if you start to feel way too low and moody, consult your doctor about it. When you are pregnant, both your physical and emotional health are equally important (2). Depression during pregnancy can increase the risk of miscarriage, affect the fetal growth and increase the chances of premature deliveries and low birth weight in babies. When left untreated, depression can develop into a postpartum depression that could last for months and years affecting your health and bonding with the baby (3). Exposure to maternal depression would lead to long-term effects in children, although that depends on their age. Babies could develop separation anxiety after birth and may have difficulty interacting with their mother, developing skills and being active. So how do you know you’re depressed? The symptoms of depression can be subtle or severe. Most people mistake clinical depression for general moodiness that passes with time. Also, depression could usually result in normal changes such as trouble sleeping or fatigue, which could also be due to the pregnancy. But if you have any of the following symptoms that last for more than two weeks, it could be a sign of depression (4). These negative emotions can result from various reasons, both physical and psychological. Usually, a combination of factors, and not one, can increase your chances of depression. History of depression in the family: A genetic predisposition and family history can increase the chances of depression. You could be prone to clinical depression at any point in your life if you have a gene associated with it. When genetic factors are at play, you are more likely to develop it at a younger age (5). Personal history of depression: If you were clinically depressed due to other reasons (such as a miscarriage) in the past, you are more likely to suffer another bout during pregnancy or postpartum. You will also be at a higher risk of developing postpartum psychosis, a severe condition of hallucinations. Lack of support: If you feel isolated from your partner, family or friends, or lack their support during pregnancy, you might get depressed. An unsupportive partner or relationship issues can increase the chances of depression (6). Stressful life events: The death of a loved one, illness affecting you or a loved one, financial problems, or unemployment can also trigger depression. Unplanned pregnancy: An unplanned pregnancy can be stressful and can lead to depression. Domestic violence: Emotional and physical abuse by a partner, friend or family can trigger depression. It is essential to tackle this immediately if it happens to you. Fertility treatments: Fertility treatments cast the same anxiety as that of dealing with a loss. They lead to substantial hormonal shifts and make you experience a whirlwind of emotions (7). Also, smoking, alcohol, and substance or drug abuse can increase the risk of depression. If you are in such a condition, see a doctor. Talk to your healthcare provider during your prenatal visit. Your doctor will try to gauge your general mood and feelings. Tell them about your mood as well as your thoughts. If you are not comfortable with it, try writing down about it. Remember that there is help out there for fighting depression. You don’t have to go through it alone. Connect with other women who are dealing with the condition or join a support group. You can also consider psychotherapy or any other treatment options if your doctor thinks it helps. There are different approaches to treat depression. Your doctor can help you choose the right one based on your symptoms. This involves sharing of your feelings and concerns with a therapist, psychologist or counselor. It effectively helps you manage the symptoms, solve issues and cope with things in everyday life. Interpersonal psychotherapy (IPT) and cognitive behavioral therapy (CBT) are the two approaches that are effective in treating depression (8). There are online communities and local support groups for people suffering from depression; you can interact and share your experiences with the others having a similar condition. These groups often help you find a solution to your problem. Your counselor or healthcare provider can help you find a suitable support group (9). Your doctor will prescribe antidepressants in the case of moderate to severe depression. If you were on antidepressants when you conceived, tell your doctor about it (10). Electric current is passed through the brain for treating depression. It is usually recommended for severe depression when the safety of the mother or baby is jeopardized (10). Often, doctors recommend talk therapy rather than antidepressants, owing to the side-effects they have. If you are on an antidepressant and have stopped taking it during pregnancy, you are likely to experience depression again. So, it is vital that you and your doctor figure out whether or not you should continue taking them (11). Common serotonin reuptake inhibitors (SSRIs) such as escitalopram (Lexapro®), citalopram (Celexa®), fluoxetine (Prozac®), sertraline (Zoloft®) and paroxetine (Paxil®). They increase the risk of congenital disabilities when taken in the first trimester. While some are safe to use during pregnancy, others can cause certain complications. Research shows that they can lead to low birth weight in babies, premature birth, miscarriage, birth defects, lung disorders (such as persistent pulmonary hypertension). 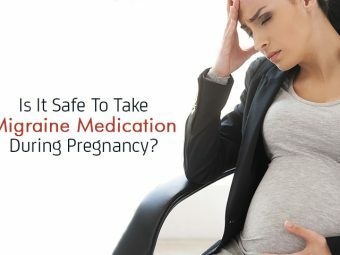 According to the US Centers for Disease Control and Prevention (CDC), birth defects are twice or thrice more likely to happen in women who are on SSRIs (paroxetine and fluoxetine). Others such as Sertraline will not cause any birth defects (12). As antidepressants can have side-effects, you can consider using natural remedies to treat depression. But do talk to your doctor before trying any of the following options (13). Get enough rest: Work on establishing good sleep habits. A sound sleep promotes a healthy pregnancy and mitigates the depression symptoms. Nutrition: Some foods are linked to mood changes, mental health and ability to handle stress. Diet rich in sugars, caffeine, processed carbs, low protein and artificial additives could lead to mental and physical issues. Make an effort to fuel your body with the right foods. Exercise: Exercise can increase serotonin levels and decrease cortisol levels, thus enhancing the mood. A brisk walk could make a lot of difference when you are feeling low (14). Omega-3 fatty acids: Research says that including omega-3 supplements in your diet every day can lower the symptoms of depression (15). Acupuncture: This is also a viable option for treating depression and its symptoms. Research says that those who tried acupuncture for depression noticed a significant reduction in the symptoms when compared to the women who did not receive it (16). St. John’s Wort is a commonly recommended herbal remedy to treat depression. But there isn’t enough research about taking this during pregnancy. Moreover, herbal products are not regulated by the US Food and Drug Administration (FDA) (17). Untreated maternal depression is associated with certain complications for both the mother and the baby (18). Pregnant women who are depressed are at a risk of developing preeclampsia, postpartum depression, and suicidal tendencies. They are also likely to indulge in smoking, poor dietary habits, alcohol, and drug abuse. Babies are at a higher risk of preterm birth, intrauterine growth restriction, and low birth weight. Children, when they get older, may experience maladaptive social interactions, emotional, behavioral and cognitive difficulties, and impulsiveness. For more info about depression during pregnancy, read our FAQs section next. 1. Can ectopic pregnancy lead to depression? Yes, the risk of depression exists after the trauma of ectopic pregnancy. It is a feeling of unhappiness that will persist for weeks to months (19). 2. What is the difference between ‘baby blues’ and ‘postpartum depression’? Baby blues and postpartum depression differ in duration. While baby blues last for ten days to a few weeks, postpartum depression lasts longer and is detrimental to your health. Baby blues start one to three days after childbirth, and postpartum depression begins a few months after birth. Women with baby blues experience mood swings, feel confused, anxious, and face trouble sleeping or eating. Symptoms of postpartum depression include extreme panic, difficulty in making decisions, hopelessness, and feelings of inadequacy, sadness and being out of control. Pregnancy is a phase of hormonal changes transformed into a foray of emotions. 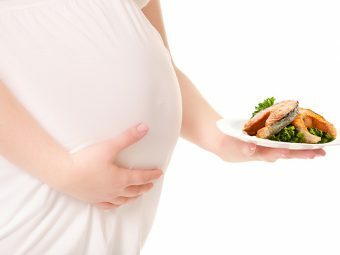 When you are pregnant, your body harbors and nurtures a new life. Be mindful of the oncoming happiness whenever you feel low but sometimes you may feel overwhelmed. And that is alright. If you find that you are unable to control your emotions and that is disturbing your day-to-day functioning, go to a doctor immediately. Always remember that depression is not your fault and there is help at hand. Have anything to share about depression during pregnancy? Tell us about it in the comments section.